Thomas Hugh "Tommy" Fogleman, 92, of Liberty died on Thursday, August 10, 2017 after a very brief illness. A funeral service will be held on Saturday, August 12, 2017 at 4:00 p.m. with David Millikan and Wallace Sills officiating at Rocky River Friends Meeting, 1795 Staley-Snow Camp Road, Siler City; burial will follow in the meeting cemetery. The family will receive friends following the service in the meeting fellowship hall. 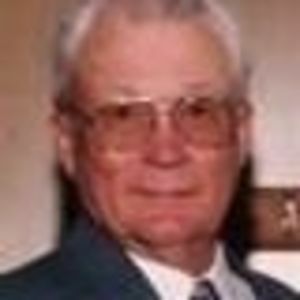 He will lie in repose at Loflin Funeral Home on Saturday from 11:00 a.m. until 2:00 p.m.
Tommy was born on April 20, 1925 to John Bunyon "Bun" Fogleman and Anne Dare Lashley Fogleman in the Pleasant Hill Community. He attended school at Sylvan and entered the Navy during World War II. He served from May 16, 1944 to the end of the war and was awarded two Bronze Stars for valor while participating in over 10 campaigns in Saipan, Iwo Jima, Okinawa, and Guam. His service was on the USS Birmingham. Tommy married Bonnie Johnson in 1946 and they celebrated their 68th Anniversary in 2014. They were members of Liberty Friends Meeting and later Rocky River Friends which they both generously supported. He was an "encourager" to people and believed strongly in the power of positive thinking and in helping those who needed assistance. Always a very hard worker and a good businessman. Tommy spent most of his working life as a successful timberman with extra farming on the side. He was physically able to do some farming until his death and enjoyed the labor. He loved the game of baseball as a player and spectator and enjoyed so much listening to Bluegrass music. Tommy's special humor will be missed by many people. Surviving is his son, Thomas Johnson Fogleman (Deborah); one sister, Hazelene Fogleman Zackery (Dalton); three grandchildren, Jason Fogleman (Dawn), Katie Peddycord (Gerry), Josh Fogleman (Jocelyn), eight great-grandchildren; Cy, Maddy, Joe, Sam, James, Vada, Luke and Ty. The family gives special thanks to the staff at UNC Memorial, Chapel Hill and to all friends who stayed with him there and in his home. In lieu of flowers, memorial gifts may be made to Rocky River Friends Meeting, c/o Karen Pike, Treasurer, 802 North Dogwood, Siler City, NC 27344 or Randolph County Honor Guard, P.O. Box 1672, Asheboro, NC 27204. Loflin Funeral Home, Liberty is honored to serve Tommy's family.